That time my neighbor hinted to the cops that I was killing my wife. One time I was outside grilling and had just placed delicious BallPark all beef franks onto a plate and gone inside the house to finish preparing my feast. As I was walking with my plate of hot dogs to the living room (because that’s where we eat in front of the television, like real Americans) I heard an urgent, very loud pounding on the door. I opened the door to find four intense police officers, who immediately began trying to peer over my shoulder and see into the house. Their cars were askew in the street like an episode of Law & Order where they ambush the suspect outside his house. We had reports of a woman in trouble at this address, perhaps a suicide. Is everyone ok? I think so. My wife’s in the back of the house. Do you mind if we come in? They barrel in, quickly checking every room of the house while I stand there holding a plate of hot dogs. They realize my wife isn’t bleeding or upset and then ask a few questions. It’s clear we have no idea what’s going on, so they realize it’s a mistake, apologize and leave. Now, I have a friend who is a cop and my neighbor across the street knows this. He’s seen the cop car at my house before and also knows it’s not unusual for our friends to try and pull pranks once in a while. As soon as they leave, he comes over to confess he thought it was all a joke and he may have not helped me very much. Hey, do you know this guy? Yeah, I know him; he’s shifty. Got it! We understand. Stay where you are, sir! Apparently, he thought these cops preparing to rush my house were part of a joke and decided to play along. Fortunately, they exercised restraint and decided not to shoot when I answered the door. Good job, IMPD! 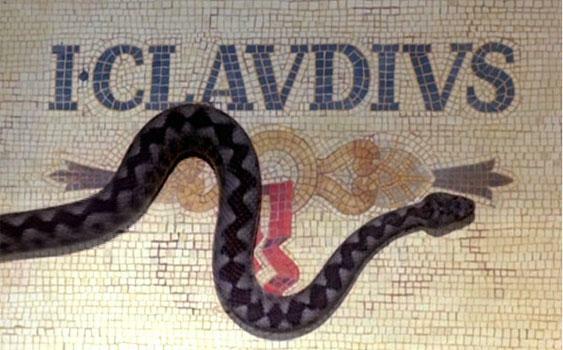 I, Claudius is truly one of the great series of all time. House of Cards wishes it could dream of this level of scandal, betrayal, and scheming. This is incredible drama, although I suppose I must say it was filmed for television in the 70’s so the production values are a little dated, although not as much as you might think. Give it an episode or two to get used to the look and sound. It’s only 12 episodes but by the end you will wish it had so many more. You will be hooked by Derek Jacobi’s portrayal of Claudius, perceived as a halfwit because of his stutter. John Hurt is magnificent as Caligula and Siân Phillips steals the show as Livia. For you Trekkie fans, Patrick Stewart with a full head of hair is also prominently featured. Even though this production was made in 1976 for British television, it doesn’t pull any punches. Caligula’s episodes are particularly unsettling, including one I don’t think I’ll ever forget that is as disturbing as anything I’ve seen on television. I don’t want to say too much more, as this series is just a lot of fun to watch, especially when you don’t know what’s coming. I, Claudius is as entertaining as any series I’ve seen, which is an astonishing feat considering it was made almost 40 years ago on a sound stage with no special effects. I Am Livia by Phyllis T. Smith: I haven’t had a chance to read this yet but it seems well-received and worthy of mention here. Conservatives and liberals should agree on prayer in schools. I very much believe that there are opportunities ripe for collaboration between unlikely parties, like drugs and housing the homeless. These are examples of public policy that will save money, reduce crime, respect the dignity of those affected, and lead to positive social outcomes. Some of the ideas in this series require more study before widespread implementation, but I believe there is enough data to warrant further inspection and at least merit experimentation. 1. The premise is false. NO ONE has removed God or prayer from schools. If you think God isn’t present with your child at school, it’s because you have failed as a parent to teach them about God. Fact: Any child in any school anywhere in the world can pray anytime they want to do so. It might be a personal, silent prayer but I think most people would agree that God counts that prayer just as much as a public display. 2. 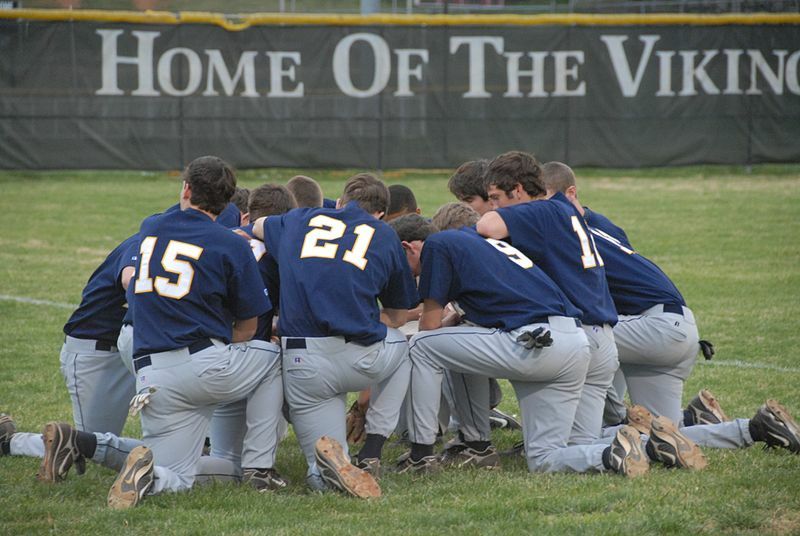 Official school prayer led by school officials is prohibited for many good reasons. Why would anyone want someone with unknown religious beliefs indoctrinating children in a school setting? I’m quite sure many of my conservative friends would object to the views of many churches. Female priests? Full acceptance of the LGBT community? Some would object to their children being encouraged to see this as a normal part of religious expression. It’s important to remember that objections to religious viewpoints can run both ways. In a way, it’s ironic; we often hear of the liberal indoctrination of our children in schools but wouldn’t coerced religious observance in school be the most direct indicator of this? Yet it is often the same ‘liberals’ accused of indoctrination who rightfully object to anyone’s religion being formally advocated by schools. 3. Many reference the ACLU with disdain, yet are unaware of the many instances in which the ACLU stands with students in maintaining their right to religious expression. The ACLU’s stance has often been portrayed as no prayer in any school, at any time. This could not be further from the truth. 4. Prayer is appropriate in school. I should know; I pretty much spent my entire high school career praying for some kind of intervention to prevent one test or another! 5. School-led prayer opens the door to abuses of all kinds. Children already struggle to fit in with peers. Making clear their religious differences is unnecessarily isolating and divisive. In addition, some teachers would use this opportunity to inappropriately coerce students into religious expression in order to receive good grades or appropriate instruction. This would be unacceptable in any setting, yet allowing religious doctrine in schools would provide the environment for this to happen more frequently. The role of government should be to provide people the freedom necessary to pursue their own goals. Conservative policies generally emphasize empowerment of the individual to solve problems. I cannot understand why conservatives who advocate limited government and personal responsibility are often the ones most vocal about advocating for school-led prayer. This seems the very antithesis of these concepts. In fact, I have a hard time seeing any conservative support for school-led prayer based on principle. I would welcome references to materials that explain support for school prayer from a limited government perspective, because I find them completely incompatible. Government action to achieve equal opportunity and equality for all. Duty of the government to alleviate social ills and to protect civil liberties and individual and human rights. The role of the government should be to guarantee that no one is in need. Liberal policies generally emphasize the need for the government to solve problems. In my experience, liberals see school-led prayer as a serious threat to equal opportunity and equality for all. Once introduced, there are just so many opportunities for abuse and coercion violating the family’s rights, to say nothing of the intense peer pressure many children would feel. I know that many see preventing schools from advocating religious views as an attack on their values. However, it is important to remember that our country is founded on religious freedom. Allowing everyone the right to worship in their own way without being coerced by government employees is the only way to respect that right. Children are especially vulnerable in this context. I’m always surprised we don’t have a unified conservative and liberal stance on this subject. This is one area where I would think we all agree that limited government is best. Remember: When someone is protecting their child from your views, they are also protecting your child from their views! Riot Fest 2013 was a terrific experience. The VIP sections were great and provided clear sight-lines of the stages, the crowds were full but manageable, the layout really worked well and the performances were legendary. I discovered Surfer Blood and achieved a lifelong dream of seeing the Replacements. Rancid was everything I had hoped they would be live and the weekend was packed with other amazing sets. So I really looked forward to 2014. There wasn’t anyone on the schedule that matched the Replacements, but really, who could? I was looking forward to Social Distortion, The Hold Steady, Jane’s Addiction, Wu-Tang Clan and Metric, among others. Just as much, I was looking forward to discovering some new bands I hadn’t heard before. 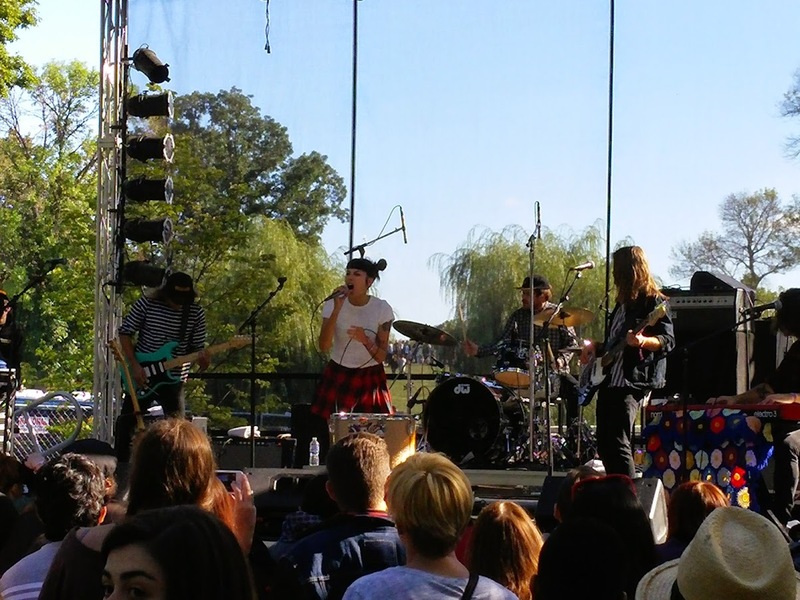 So how was Riot Fest 2014? Well, it was ok. Friday was just awful. Freezing cold, lots of rain, and a confusing layout made it difficult to get around. While many of the problems would have been significantly improved with better weather, the festival organizers didn’t help much. The whole park was a giant mudpit and paved walkways were actually fenced off for some strange reason. That said, Black Joe Lewis and the Honeybears got the festival off to a strong start. As I said, Friday was just miserable in every way. The Hotelier were good. The Offspring and Jane’s Addiction both sounded very good, although we were nowhere close for either, stuck in a crowded mess. Saturday was easily my favorite day. Although it was still terribly muddy, I was dressed better for the conditions and the bands were better, too. The Picturebooks were probably the surprise of the festival for me. I loved their set. A bucket-list performance from Television, while not life-changing, was enjoyable to see. Jessica Hernandez and the Deltas were perhaps my favorite performance of the whole weekend. Metric reminded me why I am still in love with Emily Haines. I had the best location I’ve ever had for The National and they were terrific, as always. Sunday was a little uneven in terms of catching terrific bands. I had missed The Hold Steady recently in Indy and desperately wanted to see them. They were easily my favorite set of the day, in large part because they played most of ‘Boys and Girls in America‘. Andrew W.K., not surprisingly, still likes to party. Naked Raygun played a terrific set, marred only by the aging losers who insisted on filming themselves with their Iphones while moshing. All in all, it was a decent weekend, although not nearly up to the standards of 2013. The VIP tickets, which helped make last year so awesome, were a complete ripoff this year. The layout seemed poorly designed, crowd control and waste management was almost nonexistent, and the mud was horrendous. The weather and mud I can deal with but I hope the organizers address some issues. I’m on the fence about returning so we’ll see what happens next year.